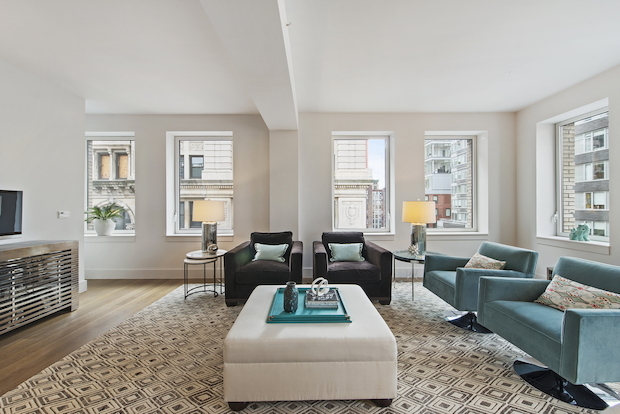 MANHATTAN — The fast-paced market of 2014 has given way to a more even-keeled 2015 as bidding wars have cooled, some real estate experts say. This doesn't mean that huge price drops are in store, but buyers may have more breathing room — at least for the time being — when making what is arguably one of the biggest financial decisions of their lives. The number of bidding wars has already "dropped precipitously" and grown less intense in the last six months, regardless of neighborhood or borough, Warburg Realty's president Frederick Peters said. While they are still taking place — mostly for homes priced at $2 million and under — there are fewer bidders, giving buyers more than "five minutes" to decide about making offers. "In my opinion, we just hit a point of buyer fatigue in which the pricing just kept pushing the boundary and then went just past the boundary," said Peters, whose company issued its fourth quarter market overview on Monday. And if an apartment, especially one that's not freshly renovated, isn't staged nicely with contemporary neutral-colored furniture and white walls that make it "easy for you to imagine yourself in," that unit will likely languish." Bond New York's Noah Freedman also noted that bidding wars have tempered recently. "The market is as strong as ever— but without the frenzy," Freedman wrote in his market report. The data from some fourth-quarter reports show that competition hasn't abated. In Manhattan, for instance, half of all sales were sold at or above list price— the most in six years, according to Douglas Elliman. A full 54 percent of homes in Brownstone Brooklyn and the hot areas of North Brooklyn sold for above asking price and 13 percent sold at asking price, a report from Ideal Properties Group found. If bidding on apartments felt a bit calmer, it may have been because of the normal seasonal pause around the holidays, some said. "Fourth quarter is the quarter where things slow down," said Sofia Song of Urban Compass, adding, "You've got a lot of sideline buyers and sideline sellers." There will likely be continued pressure in what's considered to be Manhattan's "entry level" and "mid-market" price range, where in the fourth quarter 62 percent of apartments between $500,000 and $1 million and 62 percent of homes between $1 million and $3 million were bought within two months of being listed, Urban Compass found. On the other hand, only 36 percent of apartments between $5 million and $10 million were snatched up within two months. "It's just further evidence that the entry level/mid market is underserved," Song said. "For 2015, I don’t expect anything to get better for that [segment of the market]." Though Song predicts that Manhattan prices might drop as low as 3.7 percent in the first quarter of 2015, she expects prices will rise after that. Dottie Herman, president of Douglas Elliman, wonders if talk of rising interest rates might induce more frenzy later in the year. "People hear that interest rates might rise and, because there are people on the fence, you might see a mad rush," she said.